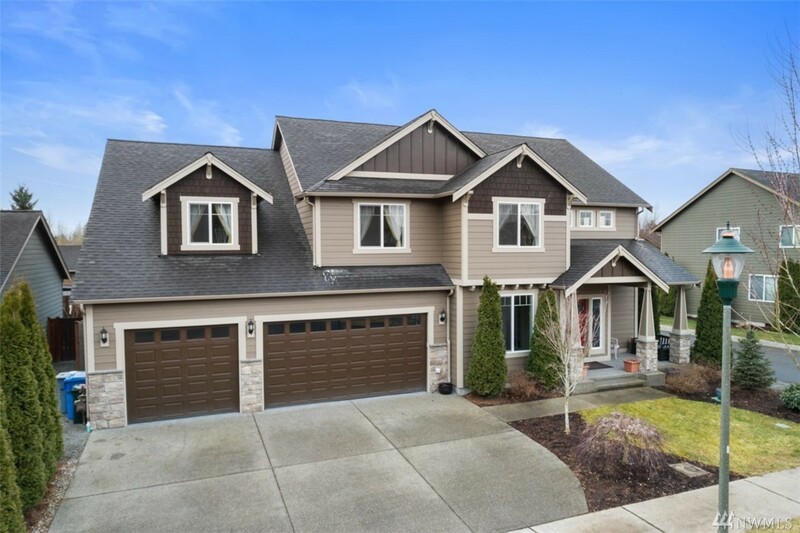 2,855 sq ft; lot: 7331 sq ft - MLS# 1409296 Courtesy of RE/MAX Extra Inc.
Beautiful 2-story Craftsman home located in desired Sumner school district. Huge attached 5-car garage with pass through door to back yard. 2,855 SF 5 bed 2.75 bath could use bonus room as 6th bedroom. Master with 5 piece bathroom & HUGE walk in closet. Good sized fully fenced back yard with level pad for pool. Built in 2012 this home was very well taken care of. Granite counters, Kitchen with island and dining room. Gas fireplace, sprinkler system, AC, triple ceiling crowns, ect.